Troy Morehouse is a Senior Network Architect for FibreOp Core Network (VPLS/VPRN/MPLS transport technologies) at Bell Aliant. Troy Morehouse has several years experience in network engineering design, network management and capacity management, and has an electrical engineering background with specialization in networking and computer programming. As a side project, Troy Morehouse developed and operates eflea.ca, an online auction system, that provides charities and groups a fun and free way to raise funds for worthy causes. He also is an occasional contributor to the opersource communities on GitHub and Stack Exchange. 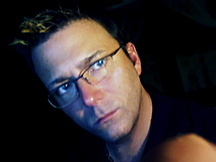 Troy also helps develop websites for people and companies as a hobby. Troy is a member of the Association of Professional Engineer's and Geoscientists of New Brunswick (APEGNB), and also has received the Nokia (formerly Alcatel-Lucent) certification of NSR-I (#3568).